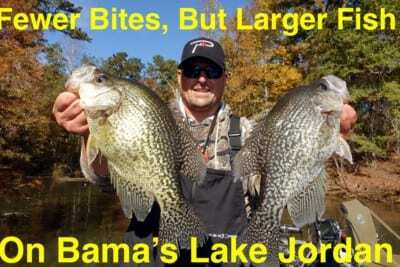 A lot of anglers don’t target crappie in the summer months in Alabama. 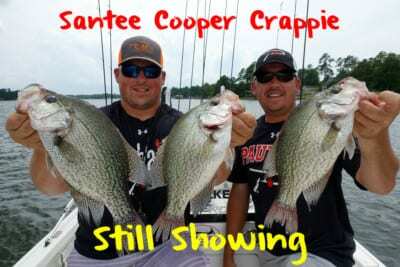 When the water temperatures rise above 80 degrees most anglers simply give up on catching crappie. On the other hand, this is when we start catching even more fish. When the weather heats up the bite tends to heat up, too. I’m spending a lot of my time now on the Coosa River chain, specifically Lake Mitchell and Lake Jordan. Summertime can be some of the best fishing of the year on these lakes. 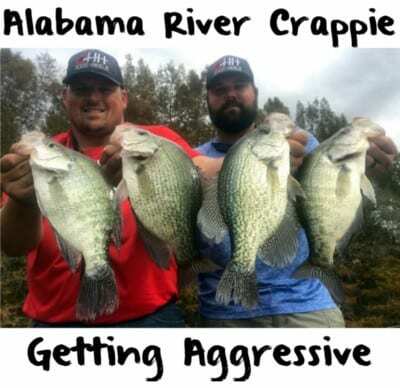 Crappie are active and the fishing pressure is typically a lot less. You have to compete with water sports, but that’s why we fish early. There are a lot of recreational boaters out there. One thing to understand about Mitchell is the summer bite is an early one. We fish from daybreak to mid morning because that’s our best opportunity to avoid tangling with recreational boat traffic. The crappie don’t bite all day this time of year. They slow down when it gets hot out. Daylight is the best. We had a heat index of 104 today. You can’t stand to be out there fishing after 10 a.m and the crappie don’t want to bite at that time either. 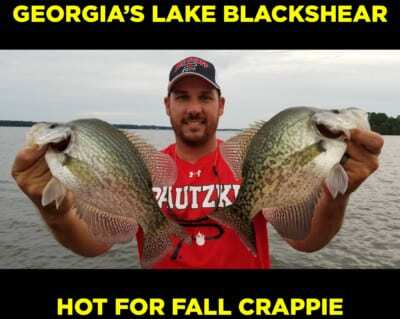 As the water heats up crappie move deeper. Crappie can be found on deep cover, on creek and main channel ledges and some humps. These fish are aggressive in the mornings. This is because the water is cooler. It’s had all night to cool down. Crappie are ready to feed early before the water warms up again during the day. Moving water helps during the day, too. Check the generation schedule. When they pull water it helps to cool it down also and the bite will be even better. The quality of fish on Mitchell is as good as anywhere in Alabama. Mitchell might have the largest and best crappie in the state. A 1 ¼ to 1 ½ pound fish is an average fish on Mitchell. There are three-pound fish, but they don’t come as often. On an average trip we’ll catch two-to-four fish over two pounds. On a summer time morning we’ll catch 30-50 fish on a good day. Mitchell is a diverse lake when it comes to techniques. In the summer months you can catch them casting, shooting docks, spider rigger and long lining. You can do it all and do it all in the same day. Casting and dock shooting is usually best with four-pound high vis line with a 1/16 or 1/32 ounce jig head. Spider rigging with a Capps and Coleman double minnow rigs work well as long as you tip baits with live Chartreuse Fire Dye minnows. What size jig heads you use long lining depends on the depth of the fish. The deeper the fish the heavier the jig you want to use. When long lining in the summer we always tip our jigs with Chartreuse Fire Dye minnows. Editor’s Note: Eric Cagle operates C&M Guide Service. 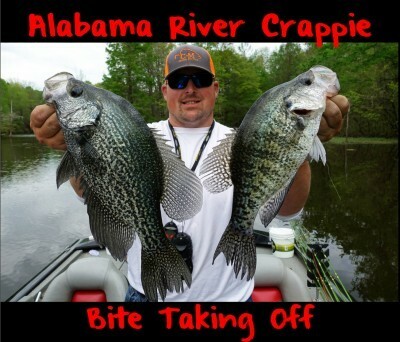 For more info on their guide Lake Mitchell crappie trips please visit https://www.facebook.com/cagleandmcdonald.